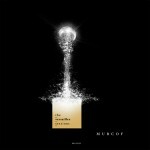 Murcof’s music has become increasingly orchestral in recent years. The subtle elegance of his first few releases, built around samples of contemporary classical music encased in fine layers of micro beats has progressively been replaced by altogether much more ambitious and vast forms. For his last album, Cosmos, released last year, Mexican-born Fernando Corona worked with recording of actual acoustic classical instruments which he then worked into vast pieces. The Versailles Sessions is not the follow up to Cosmos as such. In 2007, Fernando Corona was commissioned a series of musical pieces for Les Grandes Eaux Nocturnes, a yearly event which focuses on sound, light and water at the Chateau de Versailles near Paris, once the residence of Louis XIV. For this work, Corona sourced his sound exclusively from seventeenth century baroque instruments, from harpsichord and violin to viola da gamba and flutes. GetSound, the French collective behind the project, hired musicians specialised in baroque music who were asked to play a series of pieces by various baroque composers. These recordings were then pulled apart, dissected and reassembled in the form presented here, following a similar process to the one adopted for Cosmos. Ordinarily grounded in the music of Arvo Pärt, Morton Feldman or György Ligeti, Corona’s work here references to an earlier form of classical music, which originated in Italy at the beginning of the seventeenth century and was very much in fashion during the reign of Louis XIV in France, in the latter part of the century. The contrast between Corona’s stark constructions, not to mention the sheer scale of his music, and the flourishes and exquisite refinement of his sources is at times striking, perhaps never more so than on A Lesson For The Future, Farewell To The Old Ways, which opens with a long evolving drone over which swirls the warm tones of a mezzo soprano. In the latter part of the track, the mood is moved from this thoroughly modern setting back onto more typically baroque ground with a complex part played on a harpsichord, but this section is treated with dense reverbs and filters to pollute its natural purity. On Louis XIV’s Demons, Corona orchestrates a dialogue between voluptuous lines on a viola da gamba and much more ascetic harpsichord tones, but it seems as the recording has, in both cases, been enhanced in such a way that one can feel the frictions of bow and the percussion of the hammers. All throughout The Versailles Sessions, the magnificent forms that Fernando Corona introduced on Cosmos also inform the music here, but, placed against the lighter forms of the baroque movement, they appear more restrained, less imposing. Corona combines both genres with ease, and draws some new tonalities from this unusual setting, and while Cosmos represented a massive leap forward, Versailles takes him into yet new grounds. Corona’s work is becoming increasingly complex and fascinating, and this piece shows him at his most versatile and confident yet. The Versailles Sessions is definitely grandiose and gorgeous. Like descending down a hidden stairwell in an abandoned castle full of echoes of the past. Definitely one of the favorites of the year.